That pig is so cute. :) Love the colors for the umbrella. So cute! I love the pig! 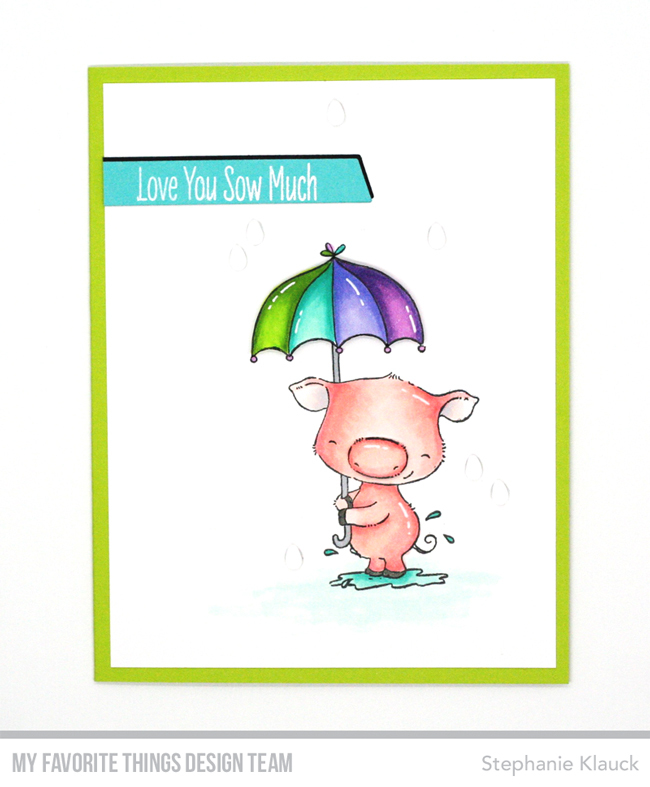 Such a sweet card, love that little piggy with his rainbow umbrella! I love your coloring, it is really awesome!! The umbrella is beautiful. Adorable!! Love that umbrella and the raindrops!! They finish the card off perfectly! Darling! I love the umbrella and the little white highlights! This little pig is cute under his umbrella! Love his little smiling face! This pig is so cute! Great job on the multi-coloured umbrella. So cute. Love the colorful umbrella for this piggy. FUN . love the umbrella and rain drops! this piggy is the cutest ever! love your CAS design Stephanie! thanks for the inspiration! Adorable card! 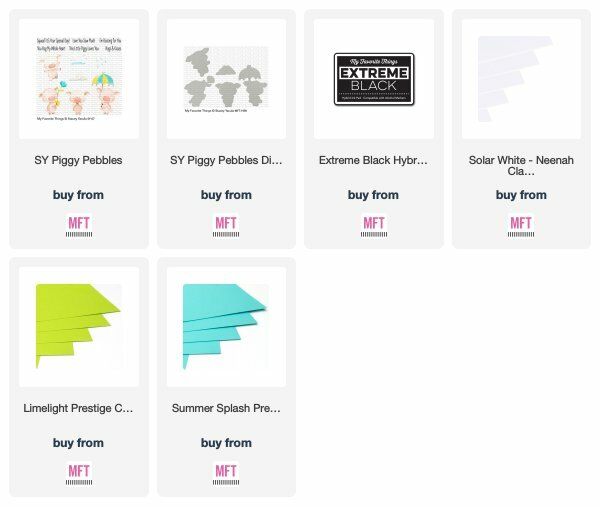 Love the piggy and umbrella! Awesome coloring! Thanks for sharing all your great projects this month. The sweet piggy is adorable! Lovely scene with the umbrella! Adorable card! Love the extra dimension you added! Love the pop of the umbrella! fun card! Adorable. Like how you added dimension to the card. i must remember to use my white gel pen more. so cute with the add on white. Adorable card. 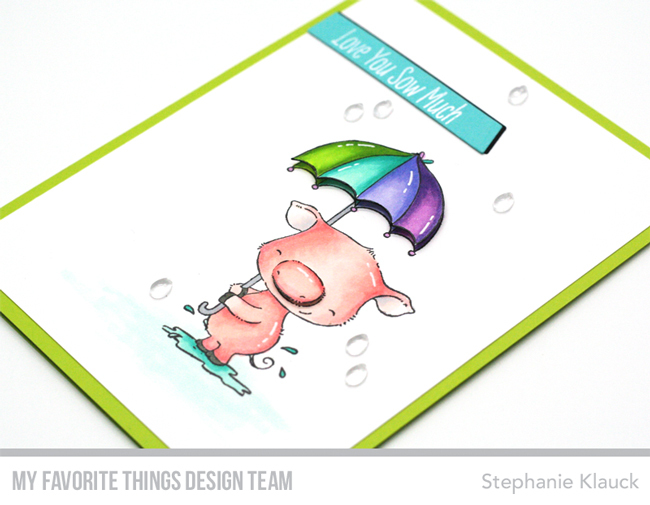 Cute little pig and the raindrops are perfect on this card. Oh, I love the bright umbrella! Lovely coloring and the raindrops are a nice touch! Such a cute card! I love the little pops of dimension! It really is amazing how just a few bits of dimension add so much to a card, especially one that is nice and CAS like this one. Thanks for sharing! So adorable and fun. Fabulously CAS design and the colorful umbrella just makes me happy.